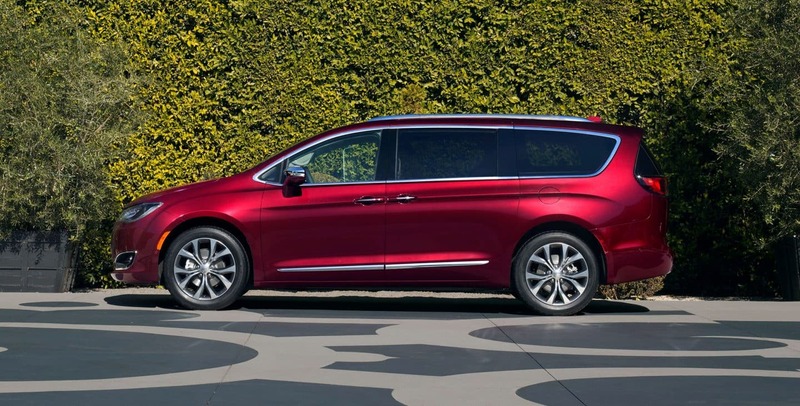 The 2019 Chrysler Pacifica is reinventing the minivan segment with never before seen levels of versatility, bold style, functionality, and built-in technology. The Pacifica's sleek lines of its curvaceous front end create a distinctive look atop an all-new platform that delivers a class-leading powertrain for the minivan segment. 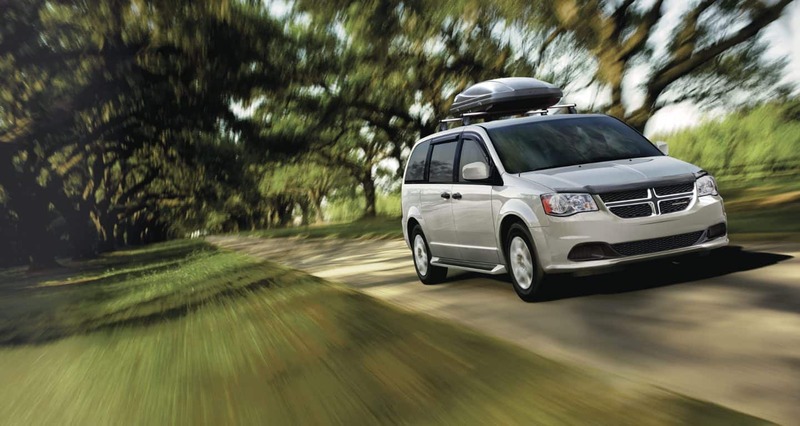 The spacious cabin approaches luxuriousness in size, allowing roomy third-row seating and more than ample cargo area. If you're looking for passenger and cargo space with a variety of features, you should take a look at the 2019 Chrysler Pacifica. What powertrain does the Pacifica come with? The 2019 Chrysler Pacifica is run by the award-winning Pentastar V6 engine mated to a segment-exclusive TorqueFlite nine-speed automatic transmission which delivers 287 horsepower and 263 pound-feet of torque. That all together lets the Pacifica zoom from 0 to 60 mph in less than 8 seconds, which is pretty impressive for a minivan. To improve upon the handling and reduce noise, vibration, and harshness, the Pacifica has been re-engineered on an all-new platform. Now lighter and stiffer, the Pacifica is more responsive with less body roll and enhanced agility to absorb and redistribute road input. What trims are available for the Pacifica? 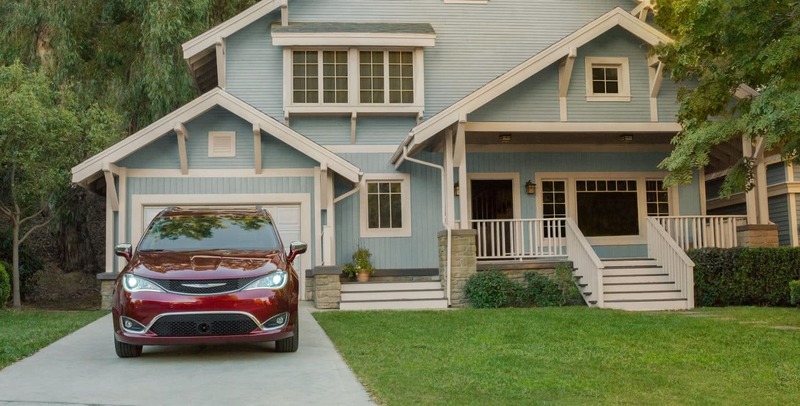 The 2019 Chrysler Pacifica has an astounding cabin that easily switches from a people mover with three rows of seating to a cargo hauler that fully takes advantage of the impressive cabin size. 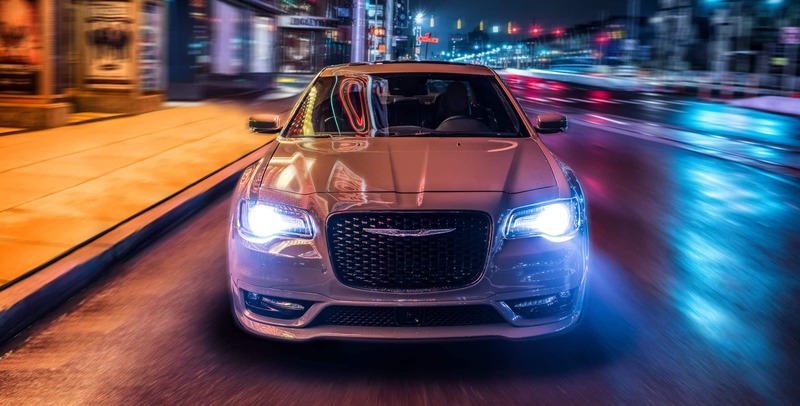 The base L trim comes standard with seven-passenger seating, 17-inch wheels, 7-inch touch screen with smartphone integration, dual-zone climate control, a six-speaker audio system and Active Noise Cancellation, and keyless ignition. At the LX trim level added features include auto headlamps, tri-zone climate control, driver information display, automatic engine stop-start system, alloy wheels, and second row Stow 'n Go seats. The Touring Plus trim adds fog lights, automatic climate control, full keyless entry, power-sliding rear doors and liftgate, auto-dim rearview mirror, and satellite radio. Adding a bit more luxury is the Touring L trim with retractable sunshades for the second and third rows, USB charging ports, and heated front seats. The Touring L Plus with a heated steering wheel and second-row seats, two sunroofs, ambient lightings, and Alpine audio system. The top of the line Limited trim comes standard with LED fog lights, hands-free liftgate and sliding doors, 18-inch wheels, auto-dimming mirrors, power-folding third-row seat, and an in-vehicle vacuum cleaner. What are the safety options of the Pacifica? Safety is a concern no matter the vehicle, and the 2019 Chrysler Pacifica is prepared to lay those concerns to rest with more than 100 standard and available safety and security features at the ready.The likes of rear cross path detection, ParkSense Rear Park Assist, and Blind spot monitoring all come standard, while other available options include adaptive cruise control, full-speed forward collision warning, Parallel and Perpendicular Park Assist Systems, 360-degree Surround View, and LaneSense Lane Departure Warning. 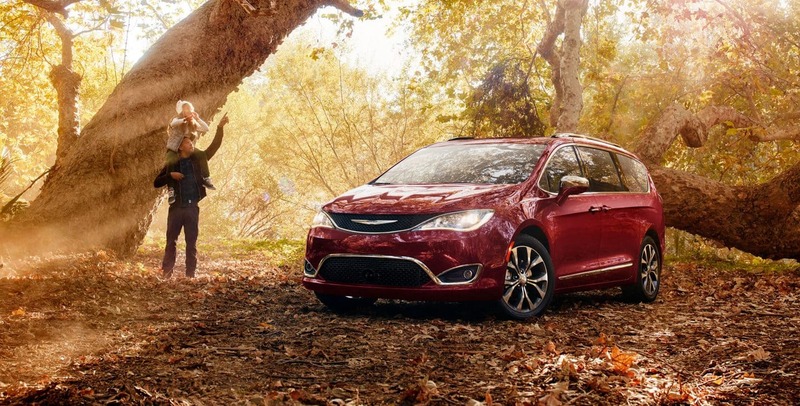 You can put your mind at ease when driving a Pacifica. With its curvaceous form and spacious interior, the 2019 Chrysler Pacifica is a minivan that can carry you and pretty much everyone you know at the same time and look good doing it. If that sounds like the kind of vehicle you're looking for then please contact us today so we can answer any questions you may have.